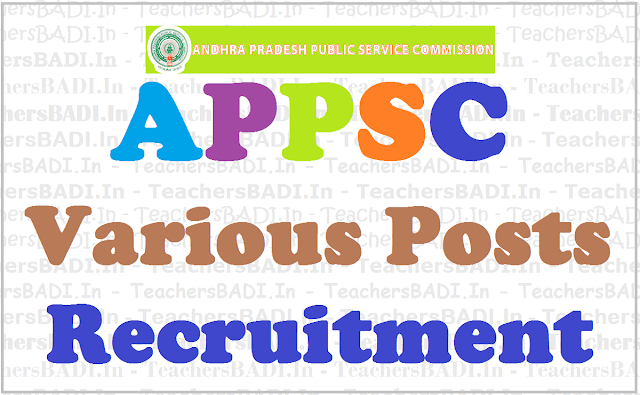 APPSC Technical Assistants Recruitment 2017 Selection list Results: APPSC Technical Assistants (Geophysics) 2016 in A.P.Mining Subordinate Service: APPSC has published the Technical Assistants (Geophysics) 2016 recruitment notification and applications are invited online from qualified candidates to the post of Technical Assistants (Geophysics) in A.P. Ground Water Subordinate Service (General Recruitment) in the State of Andhra Pradesh. The proforma Application will be available on Commission’s Website (www.psc.ap.gov.in) from 23/12/2016 to 22/01/2017 (Note.22/01/2017 is the last date for payment of fee up- to 11:59 mid night). Technical Assistants (Geophysics) in A.P. Ground Water Subordinate Service (General Recruitment). SELECTION NOTIFICATION FOR TECHNICAL ASSISTANT(MINES & GEOLOGY) IN A.P. MINING SUB-SERVICES - NOTIFICATION NO.19/2016 - (Published on 29/12/2017): It is hereby notified that on the basis of the results of the Written Examination held on 03/03/2017 FN & AN and Result Notifications for certificate verifications Dt: 07/07/2017,11/08/2017 & 08/12/2017 for Direct Recruitment (General) to the post of Technical Assistant (Mines & Geology) in A.P. Mining Sub- Services, the candidates who’s Register Numbers given below have been provisionally Selected for appointment to the post of Techinical Assistant (Mines & Geology) in A.P. Mining SubServices notified vide Commission’s Notfn. No. 19/2016 subject to the following conditions. 1. That the success in examination confers no right to appointment unless the appointing authority is satisfied after such enquiry as may be considered necessary that the candidate having regard to his/her character and antecedents are suitable in all respects for appointment to the Service. 3 That the Candidate should produce such original certificates as may be required in accordance with the Rules/Notification. If it comes to the notice of the Commission later that any candidate furnished false information or the selection is not in order due to any act of omission or Commission of any candidate then his/her provisional selection is liable to be cancelled at any stage and he/she will forfeit all consequential benefits including that of selection, besides the Commission reserves the right to take any action as it deems fit in the circumstances of the case in terms of the various enabling provisions as notified in Notification No. 19/2016, Dt:17/12/2016. With this Notification of selection, the Recruitment process notified vide Notfn. No. 19/2016 for the post of Techinical Assistant (Mines & Geology) in A.P. Mining SubServices has been finally concluded and the same is hereby notified to all concerned. Degree in M.Sc. or M.Sc (Tech.) or M.Tech. or its equivalent in Geophysics from a University or an Institution recognized by the University Grants Commission. The Commission conducts Screening test in Off - Line mode in case applicants exceed 25,000 in number and main examination in On-Line mode for candidates selected in screening test. If the screening test is to be held, the date of screening test will be communicated through Commission’s Website. The Main Examination is likely to be held On-Line through computer based test on 03/03/2017 FN & AN. There would be objective type questions which are to be answered on computer system. Submission of Online application: 24/12/2016. Last date for submission of Online application: 23/01/2017. The Main Examination is likely to be held On-Line through computer based test on 03/03/2017 FN & AN.